Syrian armed forces deployed near the borders with Jordan and Turkey have reportedly been put on high alert. The $64,000 question is whether the measure is meant to block or slow the torrent of Syrian refugees flooding the two countries or seal escape routes for defectors, chiefly Vice President Farouk al-Sharaa. Turkish Foreign Minister Ahmet Davutoglu said in remarks published today his country cannot handle more than 100,000 Syrian refugees and instead proposes a UN buffer zone inside Syria to shelter them. “If the number of refugees increases to 100,000, we will not be able to shelter them in Turkey. We have to welcome them in Syrian territory” under UN auspices, Davutoglu told the Turkish daily Hurriyet. Davutoglu urged the UN to set up refugee camps “within the borders of Syria” in order to contain the number of Syrians fleeing their country. The exodus of refugees to Turkey has intensified in the past week as a result of the battle for Aleppo, reaching a total of 70,000. Jordan’s government spokesman has meanwhile sternly criticized Damascus for artillery shelling on its northern border that wounded a Jordanian girl and panicked other civilians. Sameeh Ma’aytah says the government summoned the Syrian ambassador in Amman to hand him a letter of protest late yesterday. Amman is awaiting a formal response from Syria. Four shells landed in Jordan on Sunday during clashes between the Syrian military and rebel forces on the Syrian side of the border. Last month, Syrian troops killed a six-year-old Syrian boy fleeing to Jordan. From April to August, the number of Syrians registered with the UN Refugee Agency (UNHCR) in Jordan, Turkey, Lebanon and Iraq nearly quadrupled, from 40,000 to more than 155,000. About 75 percent are believed to be women and children. Community-based organizations say there are many more Syrians who have not registered, either because they are afraid, they are far from the registration centers, or they do not see any benefit to doing so. The numbers have been a point of contention. The Jordanian government, for example, says 150,000 Syrians are on its territory, but observers question whether they are all refugees or if some are simply migrants or businessmen who regularly cross the border. In Lebanon, observers say the opposite, that the Beirut government is downplaying the numbers to avoid upsetting the unstable political balance in the country. Syrians are increasingly seeking refuge beyond the region. Sources close to the Algerian Ministry of Interior have estimated that 12,000 Syrians have entered the country, with other estimates as high as 25,000. Eurostat, the statistical office of the European Union, reported that an average of 1,000 Syrian asylum seekers have arrived in Europe per month so far this year. Meanwhile, I suspect Sharaa, the Syrian vice president, has effectively jumped ship and is now holed up in a bordertown. I hear he is in the safe hands of members of the Free Syrian Army (FSA) who are trying to secure his safe exit to a neighboring country. Sharaa exiting Syria via Iraq or Lebanon would be foolhardy as both countries’ governments are allied to Syrian President Bashar al-Assad and under Iran’s thumb. His escape through the occupied Golan being implausible leaves Jordan and Turkey as his two viable options. The intense media focus on Sharaa can be explained by the fact he is the highest-ranking Sunnite Muslim figure in Assad’s minority Alawite-led regime. He has been vice president since February 2006 and previously served as foreign minister for some 21 years both under the current Assad and his father Hafez. 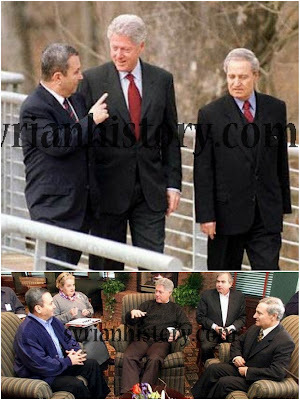 He was Syria’s chief peace negotiator with Israel’s Ehud Barak at December1999 and January 2000 talks brokered by then U.S. President Bill Clinton. Sharaa was last seen in public last month for the state funeral of leading regime security chiefs killed in a July 18 bomb attack in Damascus. His elevation to the vice presidency followed the June 2005 resignation of veteran incumbent Abdul Halim Khaddam, who broke with the regime soon afterwards and went into self-exile in France. 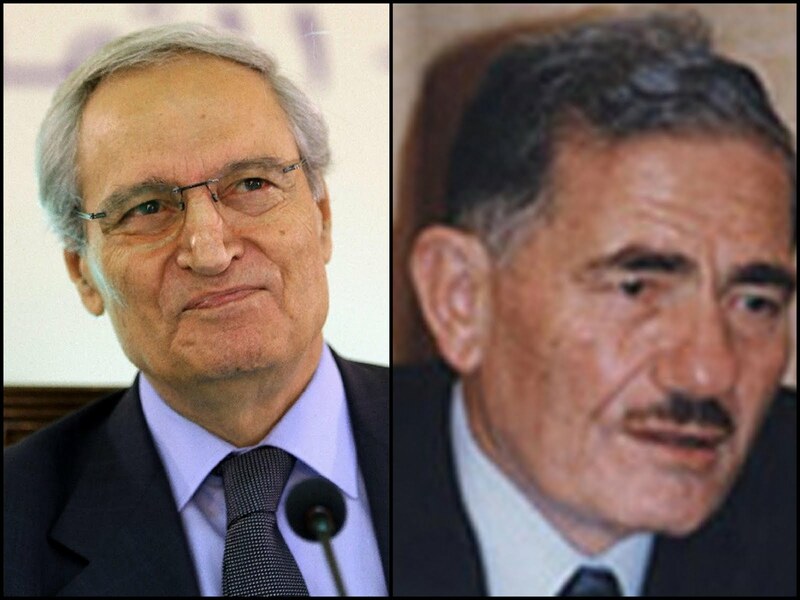 A married father of two, he served on the ruling Baath Party’s central committee for decades. 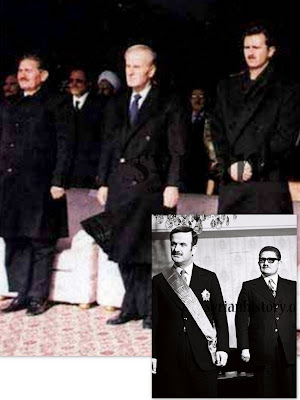 Interestingly, opposition activists are claiming that Abdullah al-Ahmar, who heads the regional (pan-Arab) command of the Baath Party and is the highest ranked Baathist in Syria has been placed under house arrest after trying unsuccessfully to defect but this has not been confirmed. Like Sharaa, Ahmar is a Sunnite Muslim. Born in 1936 at al-Tal, near Damascus, he was elected with Hafez Assad to the Baath Party regional command in 1970.